Some of you may remember seeing Carson Hart‘s fully-evolved LEGO starter Pokemon a few years back. Well, Carson has been hard at work adding the rest of the original 151 Pokemon to his collection. And the end result is this fantastic collage. The best part about Carson’s project is that all of the Pokemon are more or less properly scaled to each other. 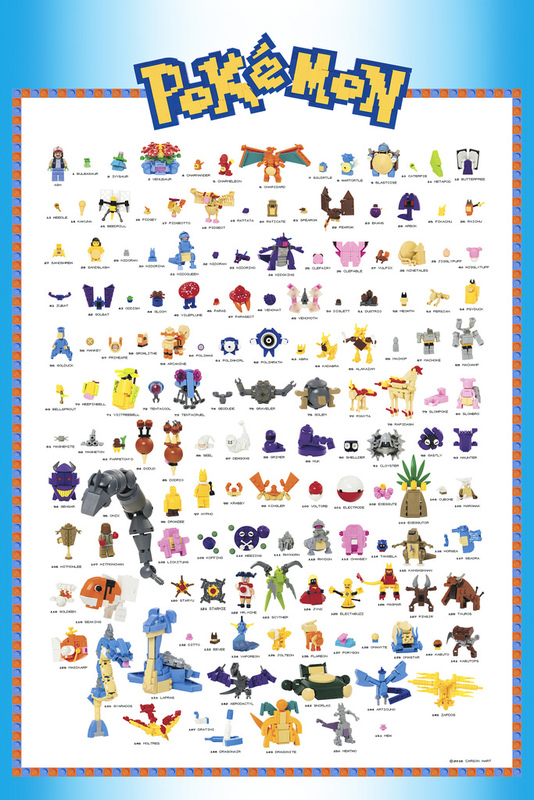 Onix takes up nearly three rows of vertical space, while tiny little Ditto is only a 1×1 round plate on top of a 1×1 plate. Take some time to zoom in and appreciate each build. My favorites are #102 Exeggute, #114 Tangela, and #146 Moltres. Which of Carson’s LEGO Pokemon do you like best?